Ger-sey Girl: Alles in Ordnung? Alles in Ordnung is a very common phrase you might hear in Germany. It means "All in Order?" or "All Right?". 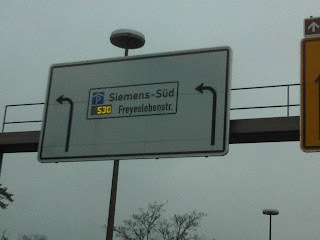 Ordnung is very important to Germans! 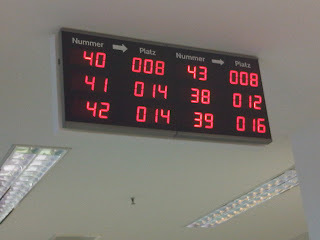 The stereotype of Germans is that they are orderly and efficient...and in general this is very true. When I first arrived in Germany I went to the "Rewe" grocery store and I saw the following. 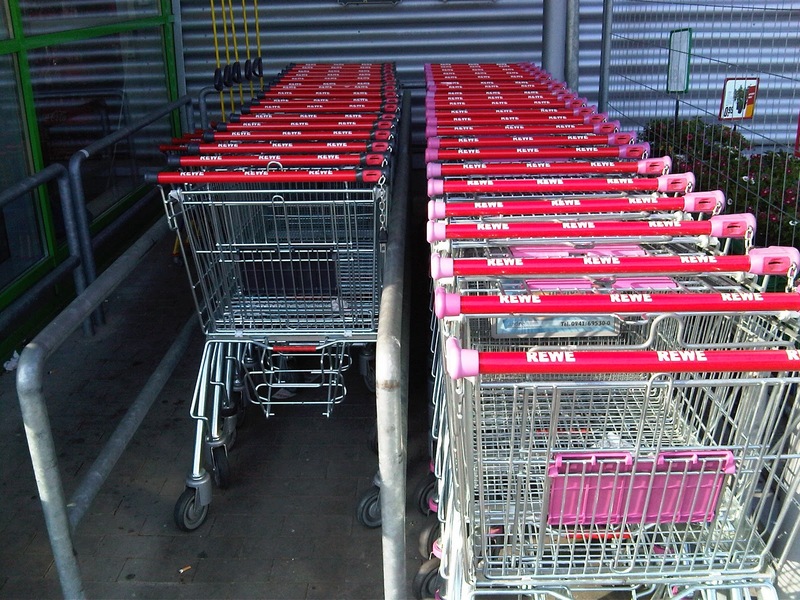 If you can't make it out, it is black accented shopping carts on the left and pink accented carts on the right. You must realize that by definition all shopping carts in Germany are the kind that you have to put a Euro (or Euro-sized Chip) in to unlock the cart and to get your Euro back you have to return the cart. In the USA you may remember Costco doing something like this for a while. So that is efficient right there. My First thought: Black Carts for boys and Pink Carts for girls? 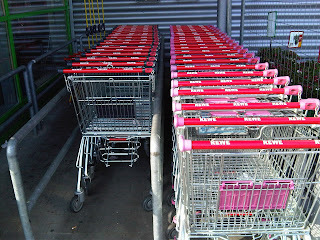 My Second thought: No way can Germans be that organized to put back the carts by color voluntarily! My Third thought: Let's be contrary and try to put a pink cart on the black cart side. My Fourth thought: That didn't work! 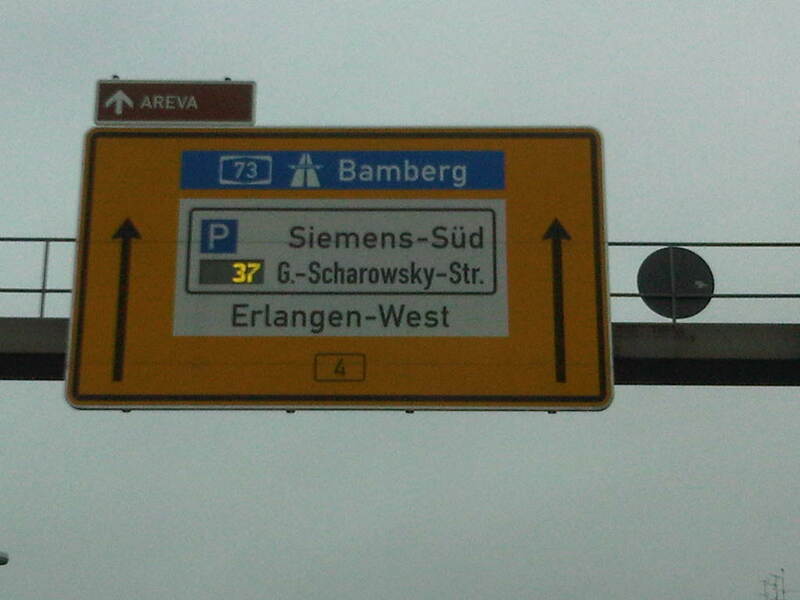 My conclusion: Germans are that organized, but in a different way than I thought. The carts are designed so that only the black can go with black, pink with pink, blue with blue (when you get out farther in the parking lot there are other colors), etc. because that way you can have no more than 20 carts per cart slot. Also, if you have to put your cart back with its color mates, then if you got a cart close to the shop you have to return a cart close to the shop. If you get a cart in the far reaches of the parking lot, you have to return it there too. You never end up with too many carts near the store, for example and you don't have to pay someone to move the carts around or round them up. 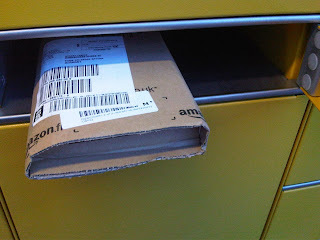 Package delivery can be like in the USA where somebody knocks on your door and sees if you are home. If not they may give have the neighbor sign for the package. If it is mailed you might have to pick it up from the Post Office if you are not home. But there is another way as well. You get a postcard in your mailbox. 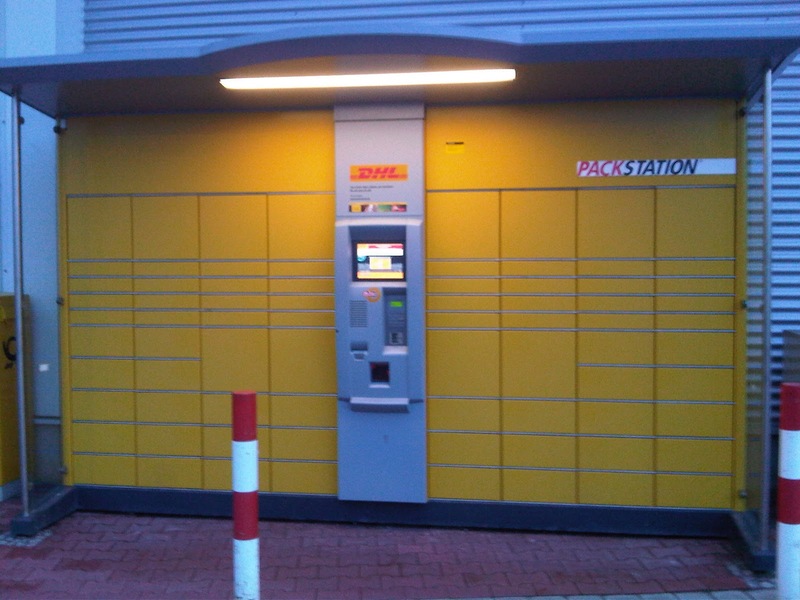 Then you go down to the nearby Packstation which is just a couple of blocks away from us next to the OBI (Like Home Depot). 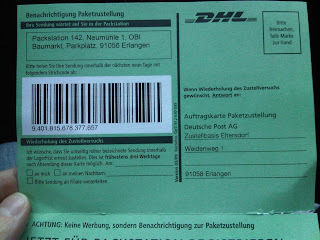 You scan in your Postcard and then one of the doors pops open and there is your package! 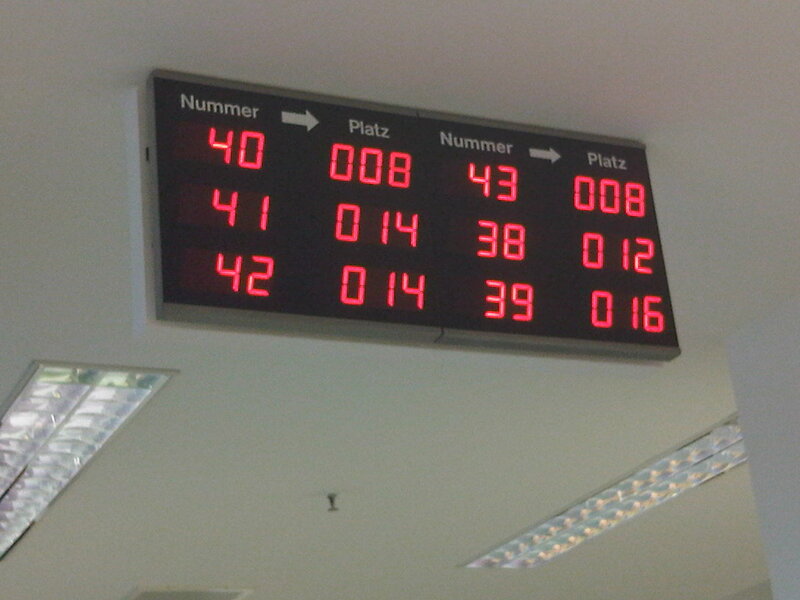 When your number (Nummer) is called, it shows you what desk (Platz) to go to. Very efficient! When you are driving around town and want to park in a parking garage, it is nice to know if a parking lot has free spaces even before you enter. Even for the Siemens location it will let you know if there are spots available. This is also at our local Mall... on a busy day it will say "0" and you know that either you should find parking elsewhere or you will have to wait to get in. It also shows you once you get inside if a given level of the parking garage still has spots. 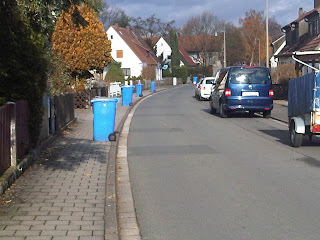 At least in our neighborhood they are very efficient about garbage pick up. They have to be because they pick up Bio-waste once a week, Paper once a month, Garbage every two weeks, and Recylable packaging every two weeks. 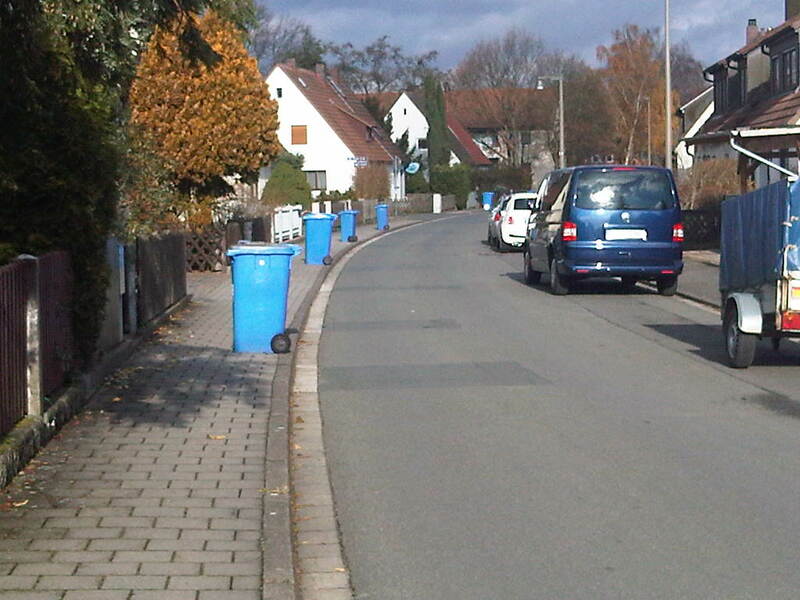 The sanitation workers come by and take your can (blue in this case, Paper) and wheel it to the curb. Then the truck comes by and loads it. THEN THE WORKERS PUT YOUR CAN BACK! Of course efficiency can be a double-edged sword....This past Christmas we had our mail held while we were in the US. Usually when we hold our mail the day we get back we get a giant envelope full of mail. This time we didn't...we just got mail starting from the day we got back. I asked at the post office and called the mail people about our mail...they just couldn't fathom how the system could not work properly. 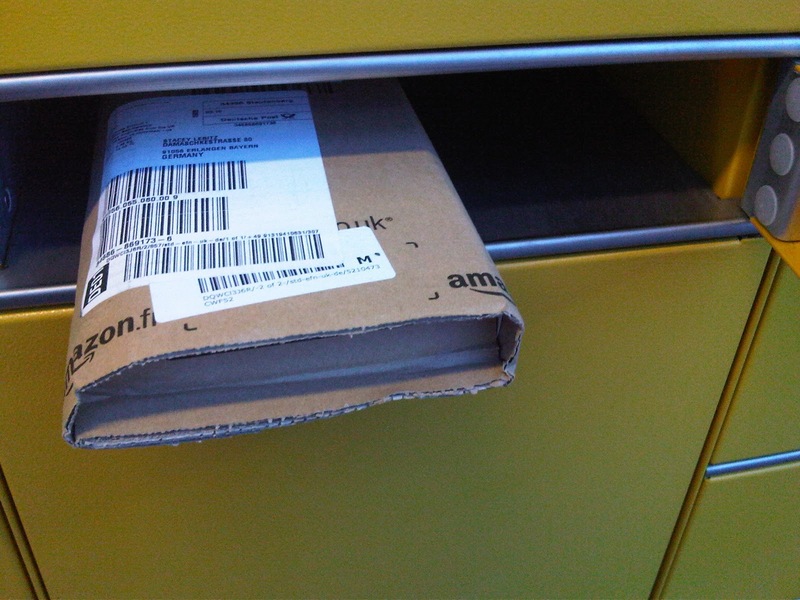 I asked the postman but he said that his colleague had delivered it...but this was not the case. 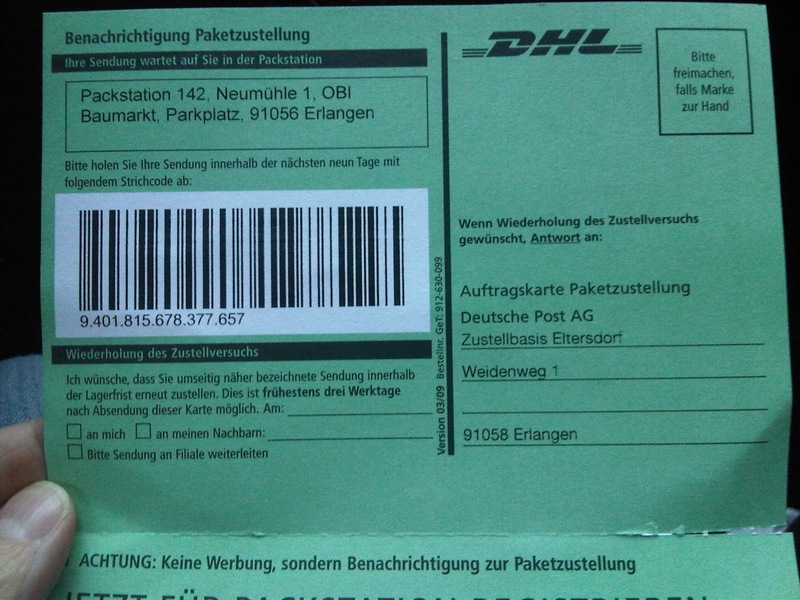 We kept calling and I think it turns out that one of the postmen said he tried to deliver it but we weren't home (of course not, we were on vacation) so he sent it back. I still don't exactly believe that story but we did eventually get it! I love this post. It is funny and enlightening! I am an American that dreams of living in Germany. Thanks for great blog.